For those serious about taking concerted action to combat climate change, implications from a 2018 study suggest that the widespread abandonment of smartphone use — which is collectively on track to add 125 megatons of CO2 equivalent per year by 2020 — may be key to preventing the planet’s catastrophic demise. Most people haven’t considered their smartphones to be significant contributors to global CO2 emissions. But they are. And they are poised to become one of the more prominent obstacles to global efforts to reduce CO2 emissions in the coming decades. 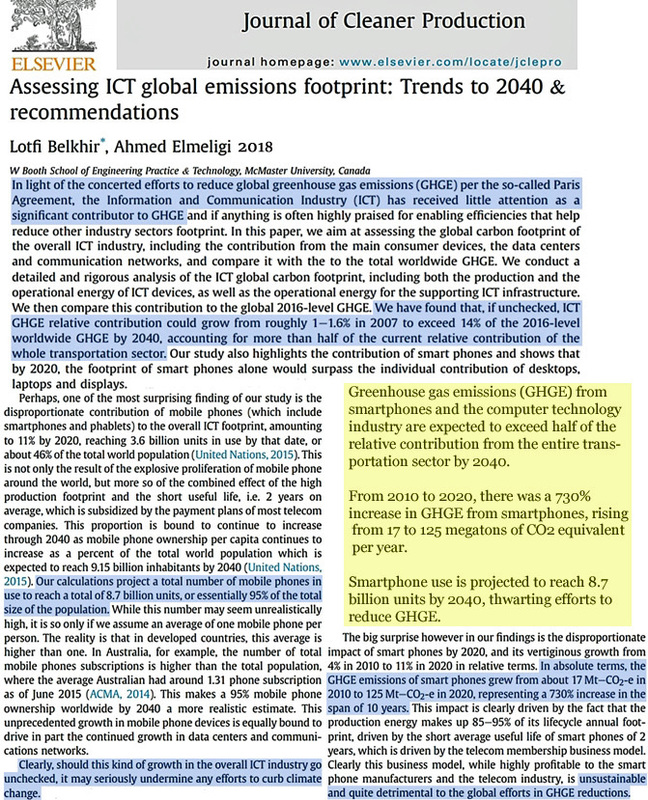 A recent analysis by Belkhir and Elmeligi (2018) determined that the greenhouse gas emissions from the Information and Communication Industry (ICT) – smartphones and mobile devices, prominently – will grow from 1% of total global emissions in 2007 to 14% by 2040. That’s more than half of today’s relative contribution from the globe’s entire transportation sector. In 2010, smartphone use added 17 megatons of CO2 equivalent (17 MT-CO2-e) to annual global emissions. By next year (2020), smartphone emissions are expected to reach 125 MT-CO2-e/year – a 730% explosion in just 10 years. Last year (2018), there were 2.5 billion smartphone users. Belkhir and Elmeligi suggest that if there aren’t serious efforts to reduce or eliminate smartphone use in the near future, the number of smartphone units across the globe may reach 8.7 billion by 2040. This is unsustainable, dramatically undermining global efforts to reduce CO2 emissions. This past weekend, climate change protesters took to the streets across the world by the hundreds of thousands. Many of these protesters were children and youth. They decided to skip school last Friday to demonstrate just how deeply concerned they are about the Earth’s climate. There is little these young people can do to save the planet from extinction as far as directly influencing government policy. However, there is something that they – and we – can do that would make a difference in reducing our CO2 emissions impact: give up our smartphones. And encourage all our friends and family members to do the same. Widespread smartphone renunciation would be a symbolic testament to our commitment to rescuing the planet from the oncoming climate catastrophe. It’s not too late…yet. Shall we begin? Okay, so now all of the leftist greens are going to give up their phones, air travel, cars… yes? Well, that is if they take efforts to reduce their own emissions seriously. Now they know the ramifications of their (daily) sins. Whether this is enough to convict them of their need to change now becomes the essential question. Surely they can see there would be an excellent virtue signaling profit to be made by give-up their phones and tablets. No, it wouldn’t be. For pretty obvious reasons. If we want to “rescue the planet”, we need to change how we generate useable energy. Consuming less energy per person (i.e. becoming more efficient) is a secondary goal to help with the primary one (less energy needs to be provided to run civilisation). Listening to people who like the status quo to remain indefinetly and arguing like you do in the article, doesn’t help anyone. Oh, so you don’t find 125 megatons of global warming pollution (CO2) equivalent per year (2020) to be a big deal? Eliminating this to zero emissions is now ridiculous? Guess we know where your priorities are. I can’t think of a single more symbolic gesture testifying to how serious we are in reducing our CO2 emissions and stopping the weather and climate from changing than…dumping our smartphones. But you say the reasons why this isn’t true are “obvious”. Name some of them. Eliminating 125 megatons of CO2 equivalent per year, increasing to 400 MT-CO2-e within the next decade or so…is only a secondary goal? Maybe now he can see why they are called “useful idiots?” Because, when they help the subversives achieve their ends, his reward will be to be treated like everyone else. He thinks he’s special because he’s on their side. He thinks he understands them. Poor little tool. This is where you site Harde 2017 and (https://tambonthongchai.com/2018/12/19/co2responsiveness/) and explain that smart phone use has almost no connection to growth of atmospheric CO2 just like all the rest of anthropogenic emissions. I have a difficult time understanding how we shall get to zero CO2 emissions by 2040 if the growth in emissions from smartphones rose from 17 to 125 megatons/yr between 2010 and 2020 and the units in use is on pace to rise from 2.5 billion units (2018) to to 8.7 billion units by 2040. How is this sustainable – or compatible with zero CO2 emissions? Change how electricity gets produced and you automatically reduce the CO2 emissions for almost every consumer product. That’s how you reach zero CO2. Not by reducing the usage or getting more efficient at burning fuel. Yes this is rediculous, Se BasH, you have no words but still have to bash. And wasting your energy in arguing like you do doesn’t help anyone. This is 125Mt out of how many Gt emitted by the ground, oceans, bogs, animals, human beings farts, etc. And of course if you realize carbon dioxide does not cause warming, there is no problem, as usual. I’m close to Tom Anderson on this. However, when I as a teen, we “cruised” rather than calling and texting. We did wave and nod as we passed. Much more fun, I think. Think of the other benefits from giving up these devices–less head and neck cancers, more productivity, fewer auto accidents, etc. And yet activists like SebastianH refuse to do their part to save the planet by giving up their smartphones. He’s part of the problem. All talk and no action. Just how serious can one be about saving 30,000 species per year from climate-induced extinction if not even the activists will give up their global-warming-pollution devices. The irony is lost on you, SebastianH. You’re arguing the futility of reducing CO2 emissions by abandoning your smartphone – something that I also recognized as ridiculous as I very sarcastically prepared the article (and wrote my comments to you). I thought the use of the adjective “unsustainable” (used by the alarmist authors) in the title might clue you in. 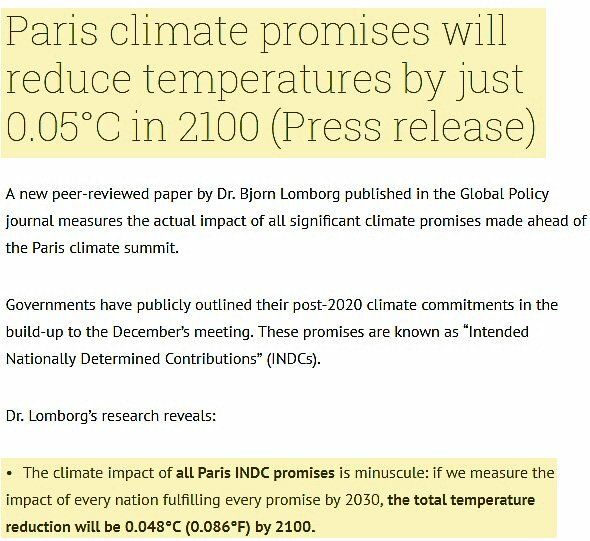 Even if all the promises made by countries for the Paris Agreement were to be kept and wind and solar were to be expanded to profound levels, using the IPCC’s own sensitivity estimates indicate that the resulting temperature reduction in 2100 will be less than 0.05°C. Meanwhile, Earth’s (NH) temperature rose by 4-5°C within 20-30 years due to natural changes in the Earth system. And yet you believe that human influence on climate dominates over natural variability. Yes, this is all ridiculous. You didn’t (and apparently still don’t) see the irony of you arguing that abandoning your smartphone would be pointless to climate change/CO2 mitigation…even though people on your side are the ones arguing that smartphones are “heating up the planet“. The irony is lost on you, SebastianH. Oh, you made a joke. Is the constant repetition of the question about the amount of warming a change in CO2 concentration causes to ocean water also a joke? using the IPCC’s own sensitivity estimates indicate that the resulting temperature reduction in 2100 will be less than 0.05°C. Nobody is saying every temperature change happens or happened because of CO2. It does. All the other variables end up to have no influence or would have caused a slight cooling already. I am not arguing this in any way. I am arguing that it is ridiculous to ask people to give up useful technology to save energy and thus emissions, when the logical path to take is to change how useable energy gets generated. And yeah, I didn’t get that you are joking. You could be crazy enough to really ask people to show their commitment by doing away with their phones. That’s the image you project of yourself on this blog or the comment section respectively. Is the constant repetition of the question about the amount of warming a change in CO2 concentration causes to ocean water also a joke? Yeah, we don’t like those AGW believers who don’t agree with us that renewables are efficacious. 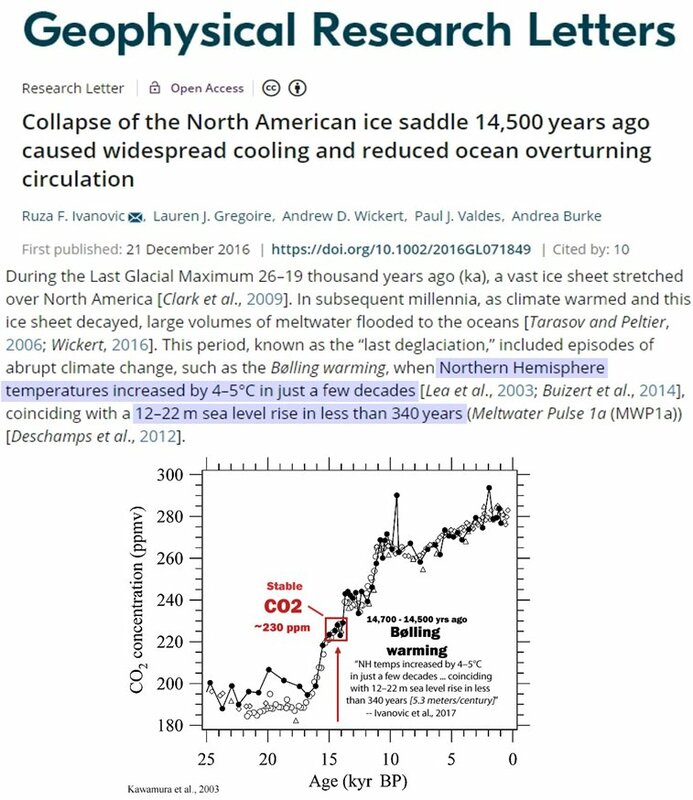 No, but it’s interesting that you can’t explain the mechanism that would have forced a -0.9°C decline in Pacific Ocean 0-700 m temperatures from 1000 AD to 1600 AD with CO2, nor the +0.4°C warming during the 1650s-1720s with CO2, but you can explain the 0.18°C 1955-2010 warming with CO2. All the other variables end up to have no influence or would have caused a slight cooling already. Well, except for the cloud cover changes that allow the 6.8 Wm-2 of surface solar radiation to warm the oceans during 1984-2000, easily superseding CO2’s alleged influence. But we’ll exclude that since it isn’t convenient to the narrative. I didn’t get that you are joking. Because I have expressed concerns about CO2 mitigation so vociferously in the past. You hit a nerve, Kenneth. The warmist activist-scientists don’t know what the forcings are, their magnitude or whether they are positive or negative, yet the troll asserts with the certainty only an a true believer can muster, that even though they don’t know, he does. IF the facts don’t agree with his narrative, he just denies the facts. 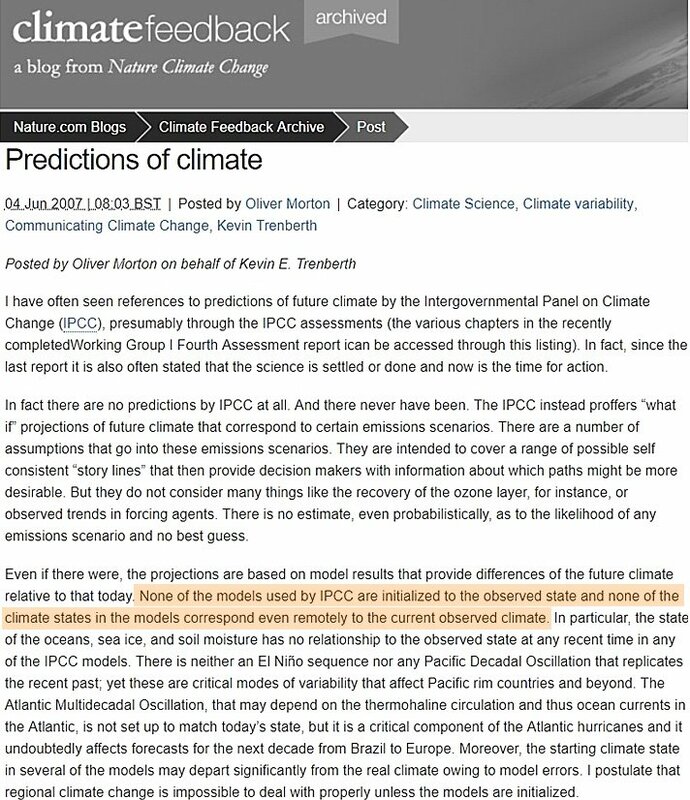 Trenberth admitted that they don’t know how to model clouds – and the models don’t even remotely resemble observations. 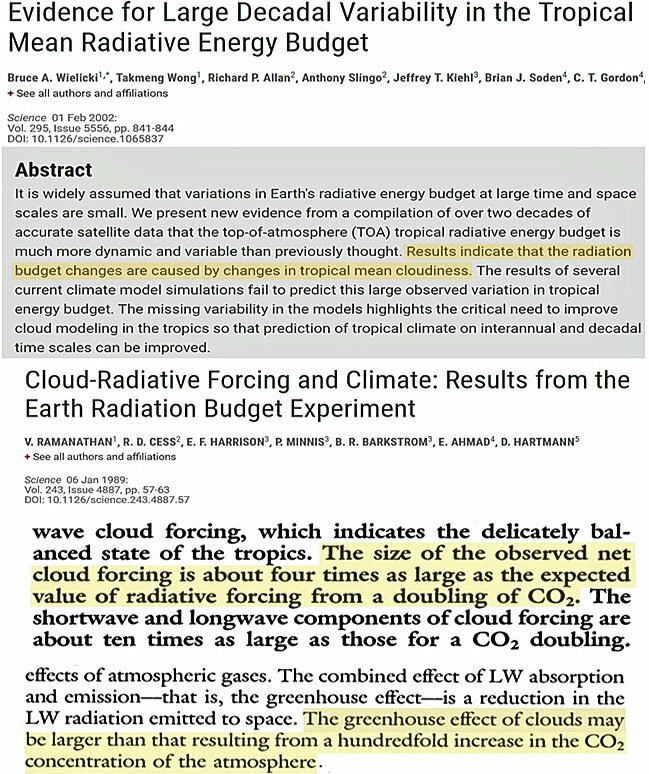 Rather inconvenient, since cloud radiative forcing drives changes in the radiation budget. So what do they do when listing the natural forcings contributing to climate change? Exclude clouds. And yet Mr. H expects us to just agree with him that “all” forcings are accounted for. It’s like an adult who thinks he can still fool his 17-year-old that there’s an Easter Bunny. 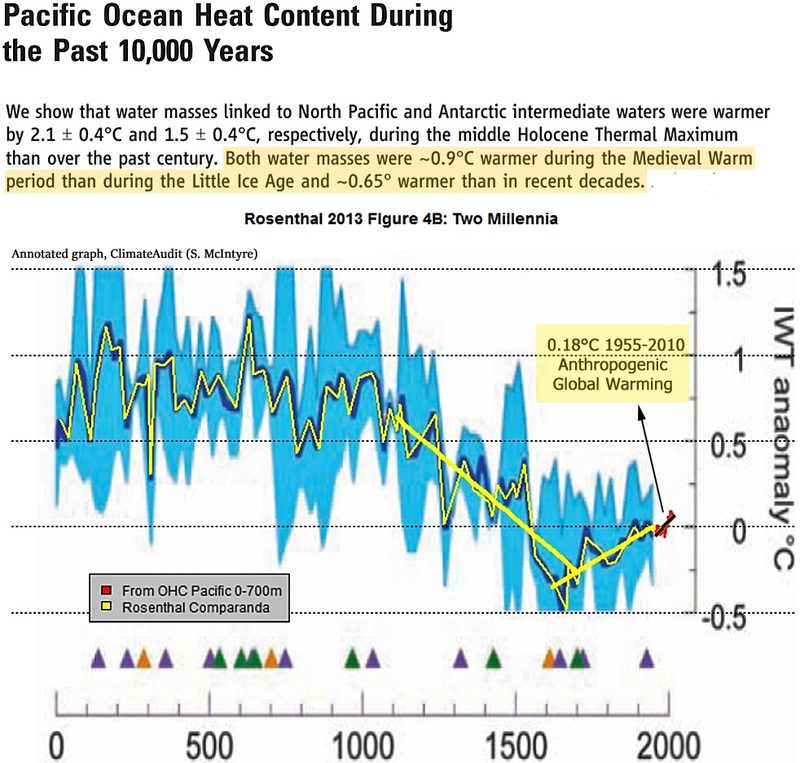 IWT equals global ocean temperatures changes now? Interesting. Why should I explain that it was CO2 in past times and why should I explain it wasn’t CO2 in current times? But we’ll exclude that since it isn’t convenient to the narrative. Nobody is excluding cloud cover changes. You are leaving out the other half of the equation … again. And yet Mr. H expects us to just agree with him that “all” forcings are accounted for. It’s like an adult who thinks he can still fool his 17-year-old that there’s an Easter Bunny. I thought he might “go there.” He’s getting to be so predictable. The lemmings are at it again. Luddites one and all are telling everybody that their smartphone is going to create more problems and one is the amounts of carbon dioxide emitted into the atmosphere. All of the natural carbon dioxide that was present in the atmosphere prior to the Industrial Revolution had been replaced by carbon emissions from coal being mined and burned ending in 1895, the year when England burned 200 million tons of coal. That amount of coal is burned in ten days, nobody is going to stop burning coal. Consumption of coal has increased 35 times for a year’s worth of burning since 1895. Not much of a temperature change has happened since then. A lot of concrete in the Burj Dubai, have to calculate how much CO2 from fossil fuels was emitted into the atmosphere before, during and after the construction of that building, right down to the last wire nut and the current amount of electricity used to keep the place lit. Make the calculation per shirt, you will then know how much CO2 was emitted into the atmosphere before you ever purchase the shirt. Have the number on the label. Have a diktat that will require people to wear shirts for at least ten years, whether or not they become rags. A fee charged to pay the carbon tax on smartphone accounts will offset the CO2 emitted into the atmosphere just from smartphone manufacture and use. Another evil that must be overcome with good. And the wireless earbuds for the super smartphones out there, there is that too. How much CO2 went into atmosphere just from earbuds? How many bricks were used in the construction of the Empire State Building? How much carbon dioxide was emitted per brick? Every farmer out there has a smartphone. The phone saves time and money. You can call someone from anywhere and have something done at that time instead of waiting until you get there. Helps the logistics immensely. Think of the fossil fuels wasted because a farmer didn’t have a smartphone and had to drive fifteen miles to deliver the message. A smartphone is worth all of the emissions that are generated in their production process just by eliminating what are now unnecessary trips that waste time, money and fuel. A smartphone represents a new hallmark, if you will, in the world of doing bidness of one kind or another. The ability to communicate in seconds trumps everything. Even emissions from manufacturing and assembly of smartphones become meaningless. Nobody really cares. Although, a smartphone should be owned only by people who need one. Children under the age of ten don’t need a smartphone, nor does anyone who wants to reduce emissions and electricity use. You can begin by eliminating your smartphone and immediately reduce your electricity consumption. Go without one, you’ll being doing your part, reduce your use to zero. There is nothing that can replace the amount of energy that is in oil and coal which can be transformed into useable energy of some kind on this earth. Facts don’t budge. If you want anything solar, you want a solar power system that can charge a battery that can to start a combine in cold weather. A farmer’s friend, as it were. With the proper application, solar power is a winner. I wouldn’t ever mount them on the roof of a house, I would have a frame constructed and mount the panels at ground level, and at an angle that will easily shed snow. When it rains, the panels will be cleaned with rainwater. You can easily see the advantage of solar over wind, it’s a no brainer. A good clean solar panel will provide more electricity. I have a solar powered calculator, have had it for probably thirty years or more, have never changed the battery. It still works to this day. Under the right circumstances, solar power will be a benefit and not a liability. Wind power is the wrong approach to solving the energy conundrum, although, wind turbines located at various locations out at sea can be a benefit for oil drilling platforms. Has to be far from commercial fishing waters. There is going to be another 20 million tonnes of coal burned today and one hundred million barrels of oil consumed. Count on it. Might as well have a smartphone, it’s for your own good. Computers, smartphones, cloud computing, satellite transmissions all do reduce the amounts of fossil fuels used. The US Navy consumes sixteen percent of all diesel fuel used worldwide. When you move an eight feet distance per gallon consumed, it is easy to see why. If that can be reduced, it is a blessing in disguise. Add this to the mix – that phone companies want to retire land lines. Why? The expense of maintaining and updating them. When you consider how cell phones eliminate what’s involved in that, the cell phone is the winner. It more than makes up for it’s down side. But greenies never consider all aspects of a problem, so their “solutions” are always failures. One solar event like that observed by Carrington on September 1–2, 1859, and all those devices would be toast — reduced to so much junk, with everything that depends on them stalled. And overall solar cycle 10 was not anything special. Science has yet to fully explain why it happened then or at all. But it hasn’t happened so far so we’re all OK. We have contingencies haven’t we? No contingencies of course. And devices don’t matter because the network that supports them and the grid that powers them would be toast and that is what will take so long to replace. A solar flare like the Carrington event will make everything glow in the dark and everybody will end up in the dark with no electricity, not even a 1500 milliamp circuit. People can then return to using smoke signals and mirrors. Always a way to communicate long distance. Lots of smoke and mirrors going on when any communication takes place, so you know it can be done. The digital presses will have to be abandoned. It will be time to re-deploy the Gutenberg press and print everything with simple mechanical works. The Pony Express will have to be called back to work so everybody can know what is happening. Horse tack and saddles will be a greenshoot industry all over again. 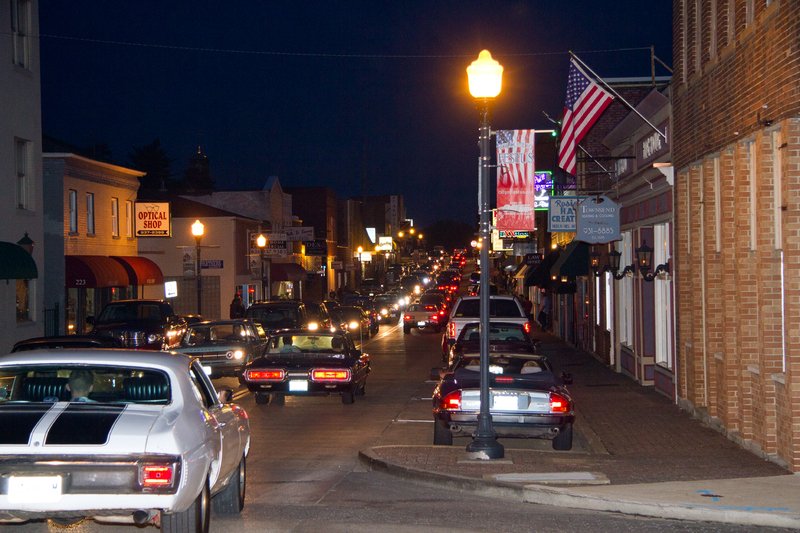 The nascent new old economy will be back in full force. Studebaker will begin anew making wagons for teams of horses to pull, the Teamsters will be back to the good old days of feeding horses and repairing wheels. About the only contingencies out there. Going to be a lot of electronic junk from cars, trucks, trains, ships, from here to eternity if another Carrington event takes place. When it will happen is the 64 trillion dollar question. Disastrous consequences then, for sure. My electricity usage is about 7000khr per year and the family smartphones account for about 4kwhr of that. Or about 0.05%. Or maybe enough to propel a typical SUV 20 miles. Not sure how the half wits who wrote this study got their numbers from, but it w.
The authors mention that it’s primarly about the energy needed to produce smartphones that get replaced every 2 years, not the consumption of energy while using them. If those numbers are correct this amounts to about 50 kg CO2 per smartphone per year or about the emissions from driving 400-500 km with a gasoline car. 50KG of carbon for a 300g phone seems a bit implausible to me. How much would it be for a 1500KG Tesla? 100 kg when replaced every 2 years. At around 500 gCO2 per kWh this equates to 200 kWh of electricity per smartphone produced and shipped to you. Sounds a bit implausible, but that’s what they are going with if 2.8 billion devices would really be responsible for 125 MT of CO2 emissions. How much would it be for a 1500KG Tesla? Multiple tonnes of CO2 per Tesla, probably 2-figures. At least if it were produced at the average CO2/kWh value of the grid. Tesla claims they use renewables for their battery factory, so it’s probably much less. Yes for your phone. But your phone alone is worthless without all the infrastructure that is installed to actually make the device usable. Get a bit closer to home for these kids… How many have LEGO sets? 2.16 million are moulded every hour, 36,000 every minute. More than 400 billion Lego bricks have been produced since 1958, (2008 figure). There are about 62 Lego bricks per person of the Earth’s population. LEGO is a good example, but how much plastic have these kids got in their houses just from their toys. Shouldn’t the UN ban developing countries from importing more LEGO, in order to save the planet? “The company has been increasing sales in new markets, particularly in Asia.